The TIA-942 Data Center Standards Overview, published by the Telecommunications Industry Association, sets several basic standards for the overall design of data centers. The document outlines basic best practice for structural design, mechanical engineering, electrical engineering, and HVAC in regards to data centers that fall in 4 different tiers, or levels. Whereas any data center needs a primary power source as well as a secondary source in the event the primary source fails (e.g. there is a surge or outage in the primary source), redundancy can be conceptualized as backup. Backup generators are another level of redundancy found in data centers. If N represents the need of a data center, redundancy would be N+1. Whether or not one must install backup generators when building a data center opposed to when it is optional depends on a few different variables. The 4 tiers of data centers can be viewed as levels. Tier 1 is the most simplistic, and Tier 4 is the most complex. Whereas Tier 1 data centers have an average annual downtime of 28.8 hours and must be shut down for maintenance, Tier 4 data centers only have 0.4 hours of annual downtime. A Tier 4 data center virtually never stops running. The required redundancy for all critical elements for data centers depends on tier classification. Tier 1 data centers are only required to have need (N) for critical components (e.g. power sources, HVAC systems, etc.). Tiers 2 and 3 require redundancy, or N+1. Tier 4 data centers require extra redundancy, 2(N+1). When building a data center, referencing best practices in redundancy can be a good place to start. 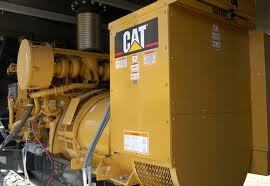 For example, one might need backup generators to meet the requirements for most tiers. Are you looking to build a Tier 1 data center in which you will usually only store and host data for a small municipality or government entity? Or, do you wish to store and host data for a diverse set of service providers which would require a Tier 3 or 4 data center? A large part of data center design involves some form of cost-benefit analysis. What would the cost of building a more secure data with additional redundancies be as opposed to the consequences of lost data and system failure? When acting as a data center for a popular webhosting service or ecommerce giant, losing power can have real consequences. By having the servers go down due to failure to follow best practice, one could be held legally responsible for millions in lost revenue. Download-upload capabilities would be stalled in addition to pertinent data potentially lost. Besides legal fees and many, many settlements out of court, losing power can cause panic. The Obama administration has repeatedly voiced concerns about the threat of cyberterrorism. Whereas lost power may be due to a power surge instead of a terrorist attack, public perception often matters more than the root cause of power failure in a large data center. Think back to Y2K in late 1999. There was no logical basis for panic (or even concern), but certain individuals did panic nonetheless. Besides causing legal trouble, loss of power can result in general public mistrust and lost clientele. Lights-out data centers are increasingly gaining popularity. In a lights-out facility, lights are literally all off, thus saving money on keeping electric lights on. Also, few personnel are required to physically go to a lights-out data center. Instead of having trained technicians, security personnel, and other staff physically at the data center 24/7, a lights-out facility will remotely notify the right personnel of any detected potential mishap, such as a rise in room temperature. Other than having a few staff on-call, the only other people who need to visit a lights-out data center include those who must perform routine maintenance on generators, HVAC systems, etc. Lights-out data centers are often considered superior as they are less susceptible to human error and can be much more cost-effective. In addition, lights-out data centers are presumed to have increased security from a terrorist attack as fewer individuals are aware of their locations. Given personnel is not frequently onsite, lights-out data centers require increased redundancy. There may often be increased lag time between when a signal of potential mechanical failure is sent and a qualified person can physically address the issue. Thus, it is of greater importance to invest in measures for increased redundancy such as backup generators, batteries, and multiple power sources. Many smaller municipalities own and operate independent data centers. Also, many of these government entities might be on a strict budget. It is imperative to think about “what if” scenarios when eliminating redundancies in data center design. For instance, if a small data center lost power, consequences might include unproductive city employees, and the need to later re-enter data physically stored in an old-fashioned file cabinet. Often, crucial government entities such as fire, ambulance, and police dispatch are held at a county level and/or have complete redundant systems onsite. If the data center were to fail, relatively little monetary loss could be anticipated. The public would not become mistrustful as the only indicator to an external audience would be that the municipality’s website would not be operational. In addition, hardcopies of pertinent documents would not be lost. While system failure would create much unneeded hassle, consequences would unlikely be catastrophic. After referencing the 4 different tiers of data centers, general best-practice, and thinking about what-if scenarios, one needs to conduct a final cost-benefit analysis to determine how many redundancies a data center will need. Data centers are not adequate forever. Research firm Gartner Inc. and the International Data Corporation both estimate that the average lifespan of data centers are under a single decade. When conducting a thorough analysis of how additional redundancies may benefit a new data center, it is imperative to consult with those who have a documented history of data center expertise—from conceptualization to design and construction. Building a data center is a notable investment. Never risk financial and personal ruin by saving a small percentage of overall project costs. Additional redundancies are almost always beneficial, but at times redundant generators and HVAC systems are an absolute necessity. In other common scenarios, one can take more risk to reduce cost. This entry was posted in Back-up Power Industry. Bookmark the permalink.